As part of Rosie Ambers Book Review Team I have already read The Ecology of Lonesomeness by David J O’Brien and you can see my review of that here. 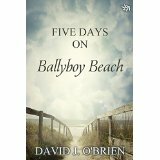 I was therefore delighted to get the chance to also read his Five Days on Ballyboy Beach a copy of which I received in exchange for an honest review, and here it is. Sometimes however far and wide you’ve looked for love you end up finding it with the one person who has been right in front of you for years. This is the realisation that comes to Derek when he goes on a camping holiday with the rest of his college friends. Unfortunately, Derek is not entirely free, in fact his girlfriend is coming to join the group for the weekend. Derek is a laid-back graduate, more of a watcher than a doer and he prefers to kick back and watch his friends, Sarah, Sinéad, Bill and John get on with the surfing, canoeing and scuba-diving they have come to do. Ana, his girlfriend comes to join the group for the weekend but mentally he’s already moved on. This is the gently paced story of a group of friends who know each other very well and love spending time together. Written from Derek’s point of view, which is an interesting male perspective on life and love at times, we get to see how the different characters interact with each other. If I have a criticism with this book it is that there is too much irrelevant detail, particularly about all of the characters at the beginning, which slows the read down. However, as the story moves on there are revelations made within the group, other than what is happening between two of the party, and when tragedy strikes the friends have to pull together. This is an easy read set in a beautiful place, that I would love to visit, and I enjoyed experiencing the scenery, nature and well-worn friendships viewed through Derek’s eyes. 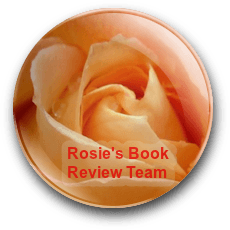 I read and reviewed this book as part of Rosie Ambers Book Review Team and received a copy of the book free for doing so. This has in no way affected my opinion of the book or the comments I have made about it. Thanks everyone! I’m delighted you liked the book, Georgia, and thanks for all the tweets.